It sounds a bit audacious when you put it that way. Education is a giant, seemingly immovable beast, motivated by the momentum of politics, bureaucracy, tradition, scale, standards, and many other forces. How would you even begin to revolutionize such a thing? Momentum for this revolution in Education is building. Efforts like the NAIS Conference are pushing it closer to its crest. What role will you and your school play in this revolution for “21st Century” success? A trim tab is a tiny rudder on the edge of the rudder of a ship. A small movement of the trim tab initiates the movement of the rudder, which shifts the direction of the entire ship. Buckminster Fuller uses this metaphor to describe the small changes that “one little man” can make to have a big impact on society or culture. KIDmob sees itself as a trim tab within schools. We come in for short, intensive bursts of innovation, making, and a fresh perspective. That injection of new energy acts as a catalyst, a spark for greater change. Our rudder is the “Champions” of the school community. They ride with that momentum and it propagates up to maneuver the “ship” - the school community. As we’ve seen, that shift can be powerful enough to not only move a single ship, or school community, but an entire fleet of schools within that county. Indian Valley Academy (IVA) is our pilot school, where KIDmob originated in 2011. KIDmob was started as a one-off experiment when six Architecture grad students went to hang out with seventh graders for a few days and expose them to design. Boom, crash, bam - three days later, everyone’s paradigm had shifted, and we all knew we would need to do it again. KIDmob has continued bringing workshops to IVA once or twice a year, with a tremendous impact. Since KIDmob’s first workshop, IVA has shifted to an entirely design- and project-based approach. It boasts a student-run Makerspace, complete with multiple 3D printers, a vinyl cutter, woodworking, soldering, hand tools, and more. Its students are consistently above the county average on standardized tests, and a number of its students are graduating high school already with their Associates Degree. By 2013, Plumas County had started to take interest in the changes and impact that IVA was having. 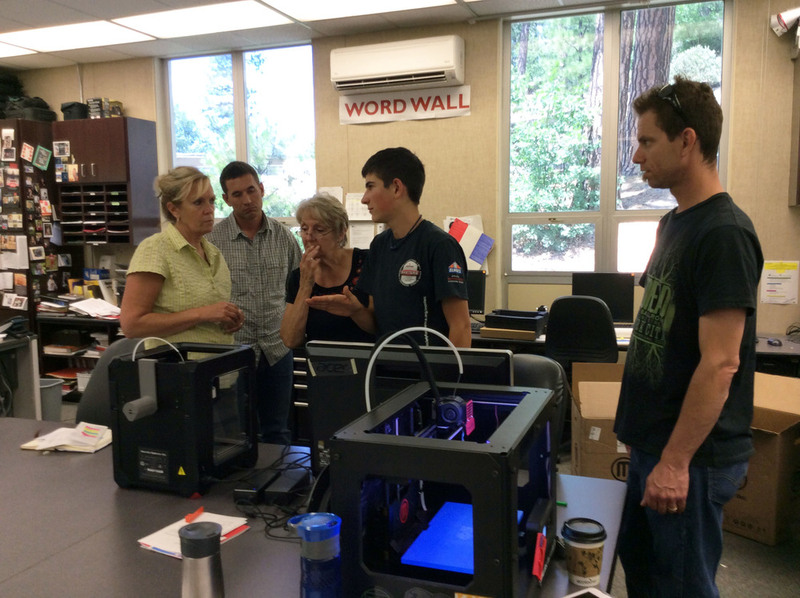 In 2014, county’s Community College, Feather River College (FRC) brought KIDmob in to spread this approach county-wide. IVA students helped to facilitate. Through a series of workshops, we laid a foundation in each of the Plumas Unified School District (PUSD) schools, familiarizing teachers and students with tools and the design approach, and establishing a network between the schools for mutual support. Our newest initiative, The KIDmob Network, is a comprehensive program to catalyze a cultural shift, and spark your school’s revolution. Talk to us about how those changes would look at your school. Your school community is driving the educational revolution. What direction would you like to take it?